DAMASCUS, SYRIA (01:25 A.M)- An Israeli soldier was killed and two others critically injured, yesterday, in a West Bank attack. An unidentified Palestinian operative, killed an Israeli occupation soldier and injured two others yesterday. The operation started at ‘Ariel junction’, opposite an Illegal Israeli Settlement in the West Bank. The Palestinian man is said to have approached an Israeli occupation soldier, stabbing him with a knife, before taking his assault rifle and killing him. The Palestinian man then proceeded to several different locations, firing upon military jeeps, guard towers, a second soldier and an armed Israeli settler at a bus stop. It has been claimed that the second soldier, who was reported as injured, as well as the injured settler, also died. These claims are currently unverified. The operative has not been found, despite a day long effort by the Israeli army. Hamas have since claimed the attack and have hailed it as a success, adding that it shows the weakness of the occupier and the strength of the resistance. Sorry for the IDF losses but this is a positive sign for the Palestinians. Hopefully it marks a turn-around. Yeah, time Tsahal moves its a$$ and send them all back where they came from : in Arab-Palestine AKA Jordan. 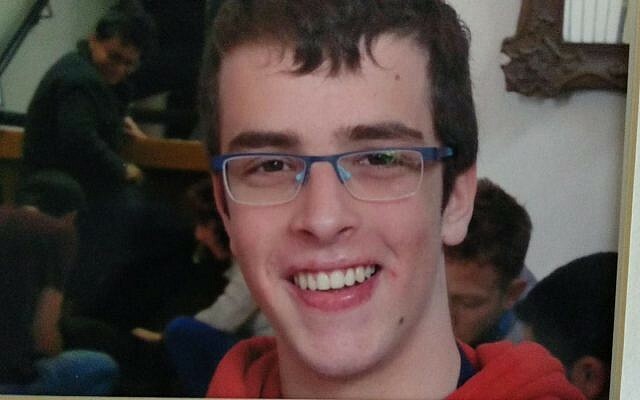 Ariel terror victim Gal Keidan, 19, was gifted musician. You and the zionist scum celebrate the murder of every Palestinian so STFU hypocrite. Was he in the Zionist army? I am sure a lot of Wehrmacht soldiers were musicians. They did the same when 9-11 happened. Bibi should cut them electricity and water, may them drown in their own blood and feces!